Last week, Mayor Ed Murray signed legislation to authorize $300,000 to support the launch of the Our Best initiative . Our Best is the City of Seattle’s first ever initiative specifically focused on improving life outcomes for young Black men and boys, specifically in the following areas: education, economic mobility, health, safety and positive connections to caring adults. The initiative represents an investment by Mayor Murray to address the disproportionate impact of institutional racism on Black people, and particularly young Black men and boys. Positive Connections is one of the Phase I priority pillars of work, which has an established goal of doubling the number of Black men mentoring young Black men and boys through formal mentoring programs. The mentorship pilot program will run for one year starting in July 2017. Additionally, the Our Best initiative involves the creation of an advisory Mayor’s Council on Black Male Achievement to include members of local academic, governmental, business, and faith communities. For more information regarding the Our Best Advisory Council and/or supporting the mentorship program should reach out to Anthony Shoecraft at Anthony.Shoecraft@Seattle.gov or visit murray.seattle.gov/ourbest. Today, Mayor Ed Murray announced an $18 million proposal to fund education and healthy food programs, including nearly $10 million for the Education Action Plan, a series of programs aimed at eliminating the opportunity gap between white students and African American/Black and other students of color. An additional $5.7 million will fund increased support for children from birth-to-five years old and their caregivers, such as prenatal care. And $3.2 million will fund expanded food access including the Fresh Bucks program, which provides low-income households vouchers for fresh fruits and vegetables at local farmers markets. These programs will be funded by a 1.75 cent sweetened beverage tax Mayor Murray transmitted to Council today. Despite significant efforts to provide an equitable education system, a persistent opportunity gap exists between white and Black students in education. In Seattle, public school students of color meet third grade reading standards at a rate 31 percent lower than white students. The proposed investments in the Education Action Plan will be implemented using guidelines recommended by the Education Advisory Group that are directly tied to eliminating educational disparities for African American/Black students and other students of color. The robust investments proposed in the Education Action Plan will significantly scale up programs devoted to eliminating inequality in education such as investments in before and after school opportunities like STEM extracurricular classes; adding more mentors in schools; reducing discipline disparities by providing personalized case management and providing special training to teachers; expanding summer learning programs; funding more internships; and diversifying Seattle’s teaching staff. To fund these investments in education and food access, Mayor Murray has proposed a local tax on naturally and artificially sweetened drinks including soda, energy drinks, juice and sweetened teas. The proposed $0.0175 per ounce (1.75 cents) tax is expected to raise $23 million for the first year, and because consumption is expected to decline, $18 million annually thereafter. Of the revenue raised in the first year, 20 percent will be invested in one-time start-up costs or time-limited projects such as $5 million for the 13th Year program – an investment intended to ensure all Seattle Public Schools graduates can attend at least one year at the Seattle Colleges. The $3.2 million investment in the Fresh Bucks program helps fund a match of purchases at Farmers Markets for low-income recipients of Supplemental Nutrition Assistance Program (SNAP) benefits, promoting more healthy eating by increasing accessibility of fresh fruits and vegetables. This investment is important because the Fresh Bucks program is supported by federal funding which is not expected to be renewed by the Trump Administration. Additional health investments will also address food insecurity for households that do not qualify for SNAP or who may be unauthorized immigrants. The Education Action Plan is the result of the City’s inclusive process that began in 2016 by bringing various communities together to address education disparities for African-American/Black students and students of color. The City heard from a total of over 2,000 parents, teachers, and advocates on how best to combat these disparities across 20 community conversations, on-line forums, and Seattle’s first citywide Education Summit in over 25 years. From those conversations, an Advisory Group was formed of representatives from the City, Seattle Public Schools, community organizations, businesses, philanthropies and education advocates to create recommendations that would address the opportunity gap. More Information about the Education Action Plan and the sweetened beverage tax can be found at http://seattle.gov/educationactionplan/. More about the community conversations, Mayor’s Education Summit and Education Summit Advisory Group can be found at http://www.seattle.gov/educationsummit. Today, Mayor Ed Murray announced that he will propose $2.3 million in startup funding to help Seattle Public Schools students get more sleep and be better equipped for academic success. The funding will help SPS implement a two-tiered bell schedule (down from three), in response to requests from families. Mayor Murray will request the Families and Education Levy review board support the allocation, which is needed to fund additional school buses to sustain the new schedule. Additionally, the Mayor will also propose $380,000 to increase safety by maintaining crossing guards during school hours. After listening to parents, community partners and teachers, the City concluded that the health and academic welfare of students would be greatly increased by supporting the change of Seattle Public School start times from the current three-tier system to a two-tier one. This change will cost $2.3 million in startup costs, which the Mayor will propose to the Families and Education Levy Oversight Committee as well as City Council. “Thanks to the Mayor’s generosity and City support, Seattle Public Schools may be able to eliminate third tier busing for 2017-18. This means that in 2017-18 schools would start at 8 a.m. and 9 a.m. This change would build on our efforts to improve academic outcomes by aligning school start times with student sleep patterns. Early data show that SPS high school students are already benefiting from adjusted start times with increased attendance and decreased discipline. The City’s investment would not only support improved school start times, but fund crossing guards for our schools. Thank you to the Mayor and the City of Seattle for recognizing our need and working to support our students, families and community,” said Superintendent Larry Nyland. When Seattle Public Schools changed school start times for elementary and secondary schools in the 2016-2017 academic year, they saw positive changes in both longer reported hours of student sleep and reduced levels of discipline in high school students. These outcomes follow years of research around the American Association of Pediatrics and the American Medical Association’s recommendation to more closely align school start times with students’ biological and sleeping patterns. Costs for district transportation are reimbursed by the state using a funding formula based on the prior year’s cost. The City’s transportation investment is one time. Today, Mayor Ed Murray, along with Councilmember Debora Juarez and the Department of Education and Early Learning (DEEL), announced the Seattle Preschool Program (SPP) will add 20 new classrooms for the 2017-2018 school year, bringing the total number of classrooms to 53. The program will serve more than 1,000, three and four-year old students. The new classrooms expand the geographic diversity of SPP by adding seven classrooms in North Seattle. Student applications for next school year are now being accepted. Over the last decade, research has shown that investments in high-quality early learning lead to better academic results and lives for children and families. Early learning helps prepare children to enter school with the skills they need to succeed – and is one of the best ways to eliminate race-based disproportionalities in achievement, opportunities, and outcomes. In addition to new classrooms, the City and Seattle School District will partner to provide additional special education inclusion services within SPP classrooms at Seattle Public Schools. The Seattle School District currently provides support services to children who have been identified as having disabilities through half-day developmental preschool programs. Through this new partnership, more children will have access to full day preschool classes and the opportunity to learn and interact alongside typically developing peers. All SPP classrooms provide specialized services to children with identified disabilities, regardless of which site they attend. Fartuun Barre says the Seattle Preschool Program has exposed her daughter Hamdi to fun lessons that she can use in preparation for school and beyond. In this coming school year, DEEL will partner with the Seattle Parks Department on a community center initiative to offer additional spaces available for preschool providers. Through this partnership, the City has identified community centers with space for SPP classrooms including: Northgate Community Center, Carkeek Environment Learning Center, Yesler Community Center and Rainier Beach Community Center. The City plans to bring on five more community center spaces in 2018-19. DEEL will also be launching a pilot to implement an SPP model especially designed to support Family Child Care (FCC) providers. FCCs are licensed child care programs that run out of a private family home and are an integral part of Seattle’s early education network. Approved by voters in 2014, SPP is a universal preschool pilot currently serving more than 600 children. SPP programs receive funding from the City, intensive coaching and training for their teachers, and access to teacher education and facility improvement funds to offer high-quality early learning opportunities for Seattle’s four-year-olds and eligible three-year-olds. Applications for the 2017-18 Seattle Preschool Program, which opened today, are available online at seattle.gov/seattlepreschoolprogram and SPP aims to meet its third-year enrollment goal of 1,000 students. Parents are also able to apply by calling 206-386-1050. Parents of all four-year-olds and income-eligible three-year olds are encouraged to apply. SPP classrooms offer a variety of high-quality learning experiences all over Seattle, including several dual language programs and special education inclusive environments. Mayor Ed Murray proposed major new investments in education to eliminate the opportunity gap between white students and African American/Black students and other historically underrepresented students of color. These investments are based on recommendations from the Education Summit Advisory Group. To fund these recommendations, Mayor Murray will propose a local tax on sugary drinks including some forms of soda, energy drinks, juice and sweetened teas. The proposed ordinance would impose a two-cents ($0.02) per ounce tax on distributors of sugary drinks. Several other cities have implemented similar taxes to fund critical issues such as education, and have found additional health benefits. The Centers for Disease Control and Prevention has said soda taxes are “the single most effective remedy to reverse the obesity epidemic,” and a similar tax in Berkeley, Calif. reduced the consumption of sugary drinks by 20 percent. The proposed tax is expected to raise $16 million per year to fund programs recommended by the Education Summit Advisory Group. The tax will be levied on distributors of sugary drinks in the City. The tax applies to all distributors regardless of the size of the business. What Products Would be Subject to the Tax? The ordinance exempts such beverages as 100% fruit juice, in-store prepared coffee beverages, infant formula, medicine, and would NOT apply to “diet” beverages. What Programs Will Receive Funding from the Revenue Raised by the Tax? Revenue raised through this tax will be primarily focused towards funding the recommendations from the Education Summit Advisory Group. These recommendations are aimed at reducing disparities between white and African American/Black students and other historically underrepresented students of color. As part of these programs, investments will be made for Birth-to-Five programs such as expansion of the Parent-Child Home Program. Additional investments will be made to expand healthy food access through the “Fresh Bucks” program. Mayor Ed Murray announced a series of new investments in education, based on recommendations that came from over a year of community engagement, aimed at addressing disparities between white students and African American/Black students and other historically underserved students of color. The City will raise revenue to provide on-going investments in enhancements to birth-to-five programs, before-and after-school opportunities, family engagement, addressing disproportionality in discipline, summer learning, school-based mentoring, and added college and career readiness programs. It also includes a significant one-time expansion of the 13th Year Promise Scholarship. Expand opportunities that increase parents’ ability to support their child’s learning and increase educators’ ability to authentically engage parents. Add funds to schools for parent engagement activities and parent advocates. Increase wraparound programs that occur outside of regular school hours including STEM learning opportunities, partnerships with Seattle Parks and increasing funding to community based organizations. Match a caring adult with every child who is struggling to keep up with school requirements. Increasing funding for successful programs like My Brother’s Keeper to additional middle schools and ensure all students have the support they need to succeed. Build a positive school culture and support student social-emotional development. This will include coordinated parent, student and teacher outreach so that students having issues at schools can receive personalized case management. Funding will also be made available to train teachers and staff on how to reduce discipline disparities. Develop a tiered approach to intervention with students who are performing below grade-level to equalize the playing field. This funding will expand the number of middle and high schools getting flexible funds—a model that asks the school to creatively meet the needs of their students. Programs can include: social/emotional support, college and career planning, experiential learning, more rigorous curricula and culturally relevant curricula. Provide struggling students with additional academic time to catch up with their peers, free and nutritious meals, and high quality enrichment experiences. Programs funded could include cultural or gender specific programming for summer enrichment activities. Foster post-secondary success and workplace preparedness by providing stipends for students to experience career opportunities. Create opportunities for instructional assistants to earn their teaching certificates. Funding will provide more support for diverse assistants to gain credentials needed to join the teaching corps, facilitating an easier pipeline process. Expanding programs to care for and prepare children with social and academic skills, setting them up for academic success in school. 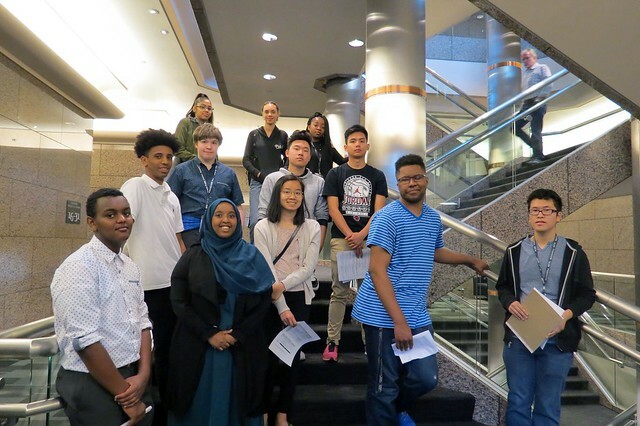 The 13th Year Promise Scholarship provides scholarship and payment assistance – along with college readiness classes – to graduates from select Seattle Public High Schools for the first year attending any of the Seattle Colleges. The new funding will help create an endowment to help expand the program, managed by the Seattle Colleges. Mayor Murray has also challenged the City to create strong relationships across all sectors – business philanthropy, higher education community based organization, parents, students and educators – so the vision of an equitable Seattle can be achieved. The City and Seattle Public Schools will be convening an education roundtable with community and business partners to knit together a shared public and private vision for ending the opportunity gap together. In November, the City received recommendations from the Education Summit Advisory Group and began working to implement programs which will effectively address the achievement gap. The City is already working to address systemic inequity in 2017 by increasing summer learning programs to serve an additional 200 students including investing in culturally relevant programs, expanding My Brother’s Keeper to five additional middle schools and implementing the innovation school model in a high school. The Department of Education and Early Learning will work to dovetail the additional program investments announced today with ongoing work to end disparities in education. These recommendations resulted from a community engagement process that heard from more than 2,000 community voices and culminated in the first citywide Education Summit in more than 25 years. The City remains committed to working with our partners in Olympia to pass a statewide funding plan for basic education that ensures that all students, no matter their zip code or background, have equal opportunities for success. Our Best is the City of Seattle’s first ever initiative focusing specifically on improving life outcomes for young Black men. The initiative represents a focused investment by Mayor Murray that aims to address the disproportionate impact of institutional racism on Black people, and particularly young Black men. Ensuring that all Seattle residents have access to opportunity requires focused approaches to dismantling racial disparities, removing barriers and transforming systems that have hurt our most marginalized communities. By investing in a staff position and structure around Our Best, Mayor Murray seeks to ensure the mission becomes embedded in our City’s DNA and becomes a lasting model. Mayor Murray launched the Youth Opportunity Initiative to ensure that every young person in Seattle has access to opportunities and resources that allow them to transition successfully to adulthood. Close opportunity gaps in Seattle Public Schools by increasing the percentage of black male high school graduates and postsecondary attainment. Advance economic mobility by increasing the number of Black males gaining access to and engaging in meaningful employment opportunities. Increase the percentage of young Black men experiencing good health. Reduce the percentage young Black men entering the criminal justice system. Close mentoring gaps for young Black men and boys by recruiting more Black men to service as mentors for young Black men. Through the Youth Opportunity Initiative, the City has already invested in several strategies aimed at supporting young black men to be their best for themselves, their families and their community, including Career Bridge, the Zero Detention Program, My Brother’s Keeper and more. A robust new mentoring recruiting and training campaign for black men. In Seattle, there are not enough black men mentors, leaving many mentor programs ill-equipped to support young black men in culturally responsive ways. Our goal with this new commitment of the Our Best program is to double the number of black men mentors. Convening the Our Best Advisory Council to advise the Mayor and City leaders on a long-term strategy to support young black male achievement. Creating a new Special Advisor to the Mayor focused on black male achievement to work full time across departments, with the Advisory Council and with the many community leaders who have already been working in this area. Our Best is all of ours. And the fight for young black men is a fight for Seattle, and our region. Establishing a Youth Opportunity Cabinet which includes Dwayne Chapelle (Department of Education and Early Learning), Catherine Lester (Human Services Department) and Brian Surratt (Office of Economic Development) in 2016 to ensure coordination and alignment across the numerous City departments to maximize impact of City investments. Mayor Murray signing onto Cities United (2013), a collective of mayors across America who united to end violence in their cities. Mayor Murray signing onto President Obama’s My Brother’s Keeper Initiative (2014), a national call to action for cities to address opportunity gaps faced by boys and men of color. The Mayor’s Youth Opportunity Summit (2015), an all-day convening with youth and young adults that specifically focused improving outcomes for young men of color. A series of community listening sessions with young Black men led by the Mayor’s Bloomberg-funded Innovation Team (I-Team). To learn more about Our Best, visit: http://murray.seattle.gov/ourbest. Today, coinciding with the release of the City’s Priority Hire Annual Report, Mayor Ed Murray announced the expansion of the program intent, which has improved access to construction careers on City construction projects for women, people of color and others with social and economic disadvantages. In response to this success, Mayor Murray issued an executive order directing departments to evaluate private construction projects with an investment of City funds to determine if they, too, on a case-by-case basis, would benefit from Priority Hire and similar requirements that advance diversity and equitable access for City-funded construction. This Executive Order will apply the Priority Hire principles to Key Arena, the Seattle Asian Art Museum and the Seattle Aquarium. Following the positive results of a Priority Hire pilot on the Elliott Bay Seawall project, the City adopted the Priority Hire ordinance in January 2015. Implemented through a Community Workforce Agreement (CWA) between the City and the building trade labor unions, Priority Hire requires that a certain percentage of labor hours on City public works construction projects of $5 million or more be performed by workers living in economically distressed neighborhoods of Seattle and King County. It also mandates apprentice utilization rates and includes goals for hiring women and people of color. Across the seven CWA projects already underway with Priority Hire requirements, workers living in economically distressed ZIP codes have performed more than 237,000 hours. At 21 percent of project hours, this performance is nearly double the percentage of hours performed on past projects. Within the first three years, Priority Hire workers earned more than $8.5 million in wages, bringing that money back into our communities, especially those with the greatest economic need. This is nearly $3 million more than typically brought into our communities from City construction jobs. At 12 percent, women on CWA projects are working more than double the percentage of hours compared to past City projects and one of the highest rates in the nation. This program also assures that we continue to bring business to our small local contractors. Women- and minority-owned business (WMBE) utilization is nearly 16 percent through December 2016, and represents over $59 million paid to date, which compares favorably to the 14 percent that all other projects are garnering for our WMBE firms. “The Seawall project is the most diverse jobsite I’ve been on. We need to have workers reflect our community. Everyone needs the same opportunity I’ve had. My goal is that the Seawall job is just the new normal,” said Marge Newgent, International Union of Operating Engineers. Through contracts with training programs and community-based organizations, the City has invested approximately $1.1 million thus far to recruit and train such local workers. While the education and training programs take as many as four years for individuals to complete, 53 individuals have already joined these education programs as a direct result of these investments. To increase these career opportunities, Mayor Murray’s executive order directs departments to notify the Department of Finance and Administrative Services (FAS), when considering an investment of City funds into private projects, to determine if the CWA and its associated requirements, including City monitoring and enforcement, would be appropriate for that project. The order also instructs departments negotiating agreements for Key Arena, the Seattle Asian Art Museum and the Seattle Aquarium redevelopment projects to include such contract provisions for meeting Priority Hire requirements. Learn more about the program by visiting www.seattle.gov/priorityhire. Mayor Ed Murray introduces recommendations from the Education Summit Advisory Group. The Mayor’s Education Summit Advisory Group was developed to formulate recommendations in response to feedback from over 1,300 people from 20 community conversations, nearly 200 online survey responses and 500 attendees of the day-long Education Summit held in the spring. The Advisory Group recommendations include a variety of programs for students of all ages, from early learning through high school and beyond. The group concentrated its work in four areas: improving access to high quality learning opportunities and programs; creating positive, supportive and high quality teaching and learning opportunities; providing authentic family and community support and engagement; and strengthening post-secondary access and attainment. They have identified criteria for prioritizing the recommendations, including those with the greatest potential impact on the opportunity gap facing African American/Black students and other students of color, those that can be implemented in the short-term and those where the City can have the greatest impact. Expanding the My Brother’s Keeper mentoring program for African American/Black male students from Aki Kurose Middle School to five additional middle schools. Expanding the innovation school model, which has been successful addressing disparities in middle schools around attendance, behavior and curricula, to a high school. Broadening the City’s Summer Learning Program to serve an additional 200 students, with an emphasis on programs offering culturally specific curriculum. Investing in post-secondary programs that ensure students who graduate from high school remain engaged during the summer and successfully enroll in college. Mayor Murray and the Seattle Department of Education and Early Learning, in partnership with the Seattle School District, community, philanthropy, and the business community, will release an action plan in early 2017 outlining the next steps for implementation. To read the full recommendation report or an executive summary, please visit www.seattle.gov/educationsummit.